Conventions are hectic places. Meeting old and new friends, keeping an eye on the schedule, participating in events and trying to take it all in can get you stressed out in no time. So I stepped away for a few minutes to blog and found this. Can a MOC actually calm you down? 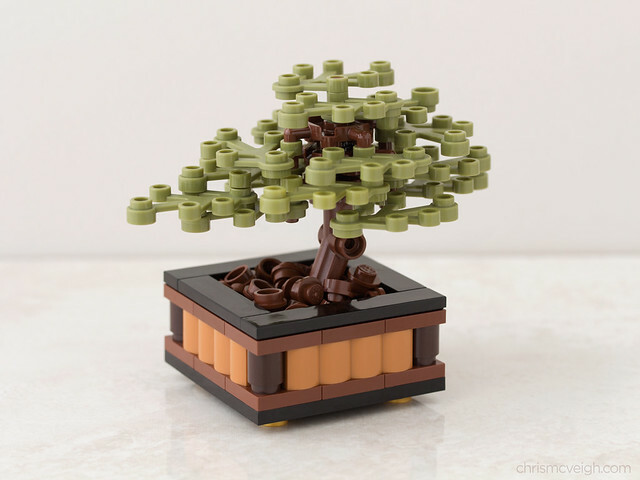 This bonsai tree by Powerpig seems to have. Just looking at it made me smile and go "ahhh", and throttle back a bit., which is exactly what I needed.